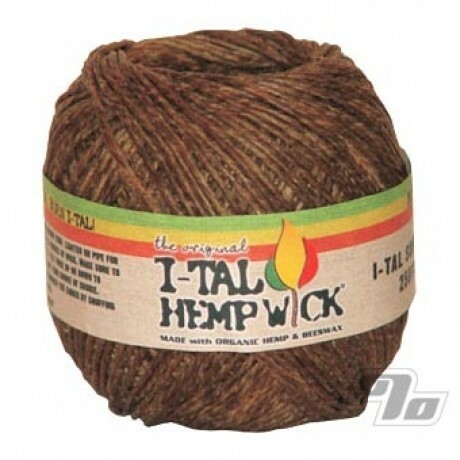 The Supreme 250 Foot Spool of I-tal Hemp Wick Lighter is an organic hemp and beeswax wick used to replace the dangers of butane lighters and creates a natural, clean burning flame. Each Supreme spool of I-Tal Hemp Wick is approximately 250 feet long. The wick burns at a rate of about 1 inch per 20 seconds so each spool should last you over 16 hours. Does effect the taste! Hooked! Super fast delivery....again. I ordered the short I-Tal wick, loved it, then ordered the larger one, loved it as well, so decided to go get the 250ft spool of it and i cant tell you how great it is! A must have by far!!!!!!! Great product, great deal! So much better than that butane taste from lighters and I can really feel a difference in my throat when I smoke.